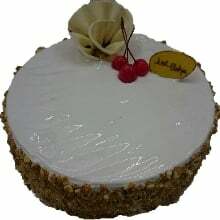 Just Bake - Baking Custom Cakes with Tempting Flavor and Quality! What Our Customers Said About Us? 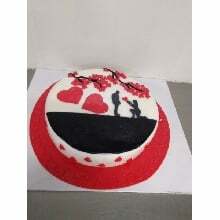 Had a wonderful experience with Just Bake. It was my wife’s birthday. 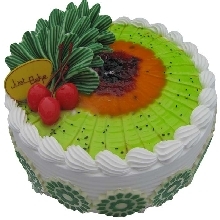 I ordered online the Fruit of Forest cake at 10.00 AM. I was expecting delivery by 5.00 PM. 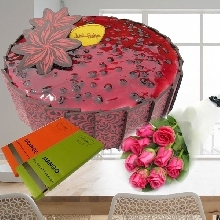 But surprisingly the yummy cake was at our doorsteps before 1.00PM. This kind of prompt delivery is something never seen in Hyderabad. This makes you the best in the city. 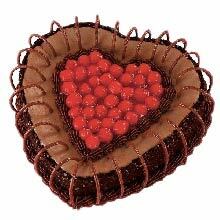 Wish you all the best for bringing a big smile on the faces of husbands like me……………… Thanks a ton. I live in Bangalore and my fiance’ is from Kerala. 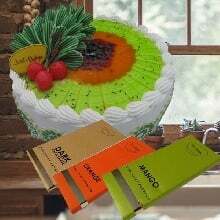 To surprise me, I got this cake from him as a gift. 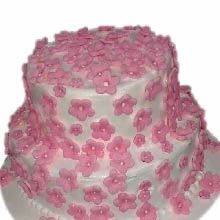 The cake came with a lovely pink rose bouquet. 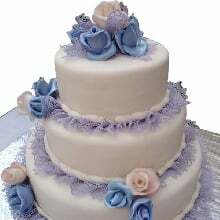 This cake has the unique combination of the sweet taste of cream and the tangy taste of blueberries. 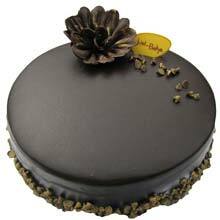 Next time I had ordered this same cake for my mother and it was also amazing. JustBake keeps their consistent quality. I was a bit reluctant to order cakes online. 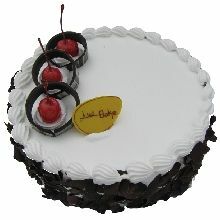 But one of my friend suggested me that to try this online cake delivery service in Bangalore and I’m really satisfied. 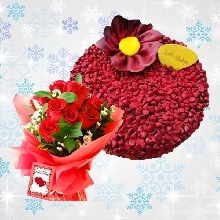 Ordering this Raspberry cake online has save my precious time and also it has helped me to show my appreciation for my loved one. 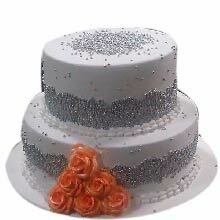 The cake was looking extremely beautiful. 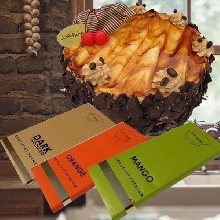 Thanks to justbake for your on time delivery. Being a 90’s kid I was always a Barbie doll fan and had two barbie’s in my collection. 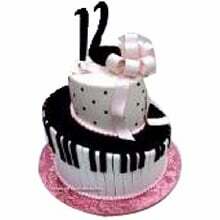 I got this cake for my daughter as she always keeps asking for more dolls. 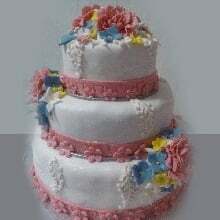 A Barbie doll cake was the best surprise for her and apart from the overall presentation, it tasted good. We planned a colleague's birthday party in our office. 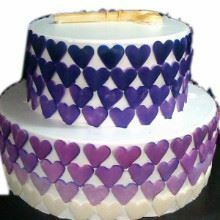 As we kept it a surprise, we ordered online cake from Just bake. 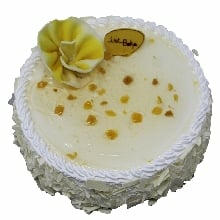 It was a 2kg, German Divinity Cake and we ordered it a day before the party. It arrived well in time and made our day. 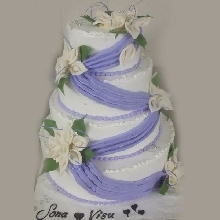 The cake was not only tasty but also very beautiful. Full credit goes to the Just Bake for being highly professional and punctual. My wife and I were searching for a good cake on our daughter’s engagement. 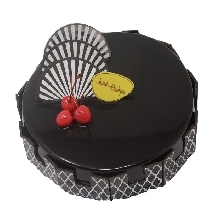 My son showed me this online cake store in Bangalore. 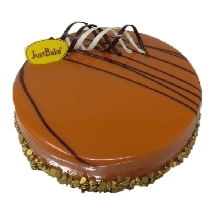 This is one of the best cakes from the wide range of cakes JustBake offers. 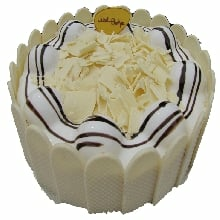 I can surely tell you that like the name you cannot resist the temptation to order this cake for the second time. Everyone loved the taste of the rich chocolate. 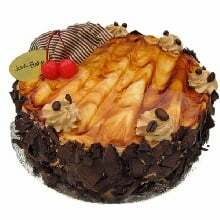 Our Hand-Crafted cakes at Just Bake are JUST A CLICK AWAY! 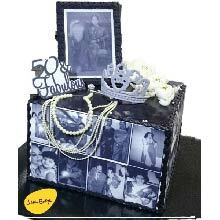 Making Every Celebration Special For Over A Decade! If you like the way they look, then you will love the way they taste. 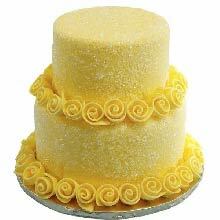 All our cakes are all handmade and use only the best high quality ingrediants to make the tastiest cakes. 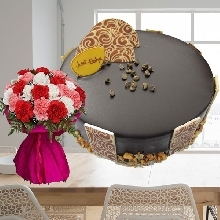 Just Bake assure that we will not use any cheap quality, preservative stuff for making the cakes in Bangalore, Hyderabad, Mangalore and Kolar. 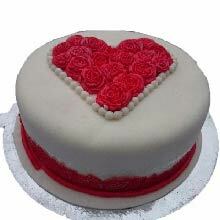 Online Cake Orders & Delivery in Hyderabad, Bangalore & Mangalore is indeed A PIECE OF CAKE! You can then pay with your credit or debit card and specify your delivery information.